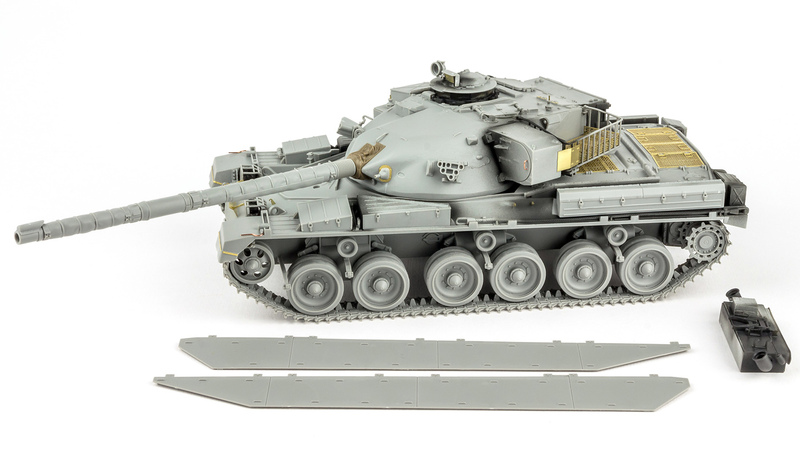 In part 1 we had a good look at what Takom have given us in their new Chieftain and everything looked very nice. Now, in part 2, lets see if it builds as well as it looks. The build gets underway in familiar territory with the running gear. 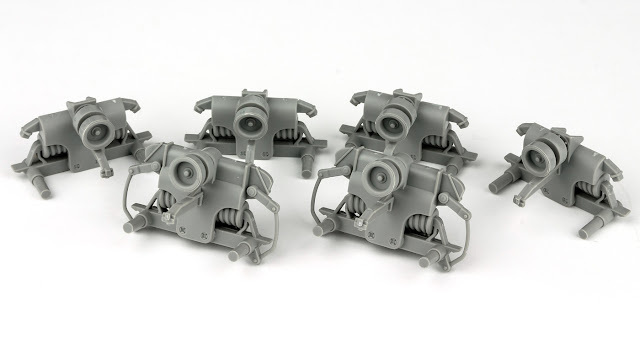 Takom have been quite cleaver with the road wheels. 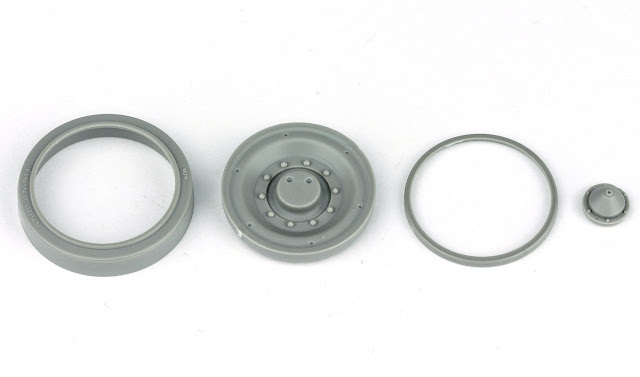 While the inner wheels are moulded as a single piece, the outer wheels are made up of four separate parts enabling the distinctive double rim of the road wheels to be reproduced. 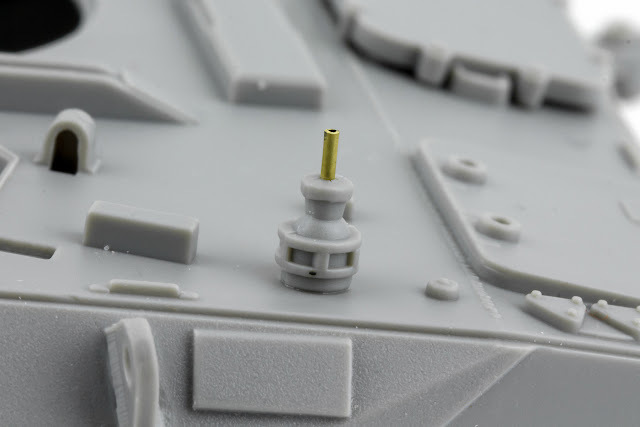 I found the easiest method was to glue the hub in place whilst the wheel was still on the sprue. After that, the rim and wheel could be slipped onto the tyre. Before the tyres were attached, they were scuffed up with a course sanding stick to show wear on the rubber. On a few of them, small chunks were taken out of the tyre's rim with a sharp knife. Twenty minutes work finished off all twelve road wheels and they were put aside to set. When adding the single piece inner wheel be careful to square it up against the outer wheel. It's very easy to end up with them at a slight angle to each other which will look bad, and may also make it harder when fitting the tracks. 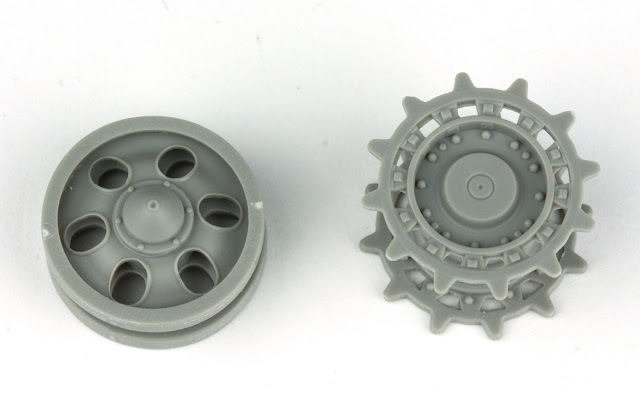 The idler and sprocket are also a strait forward build, the rim for the idlers being found inside the lower turret moulding. 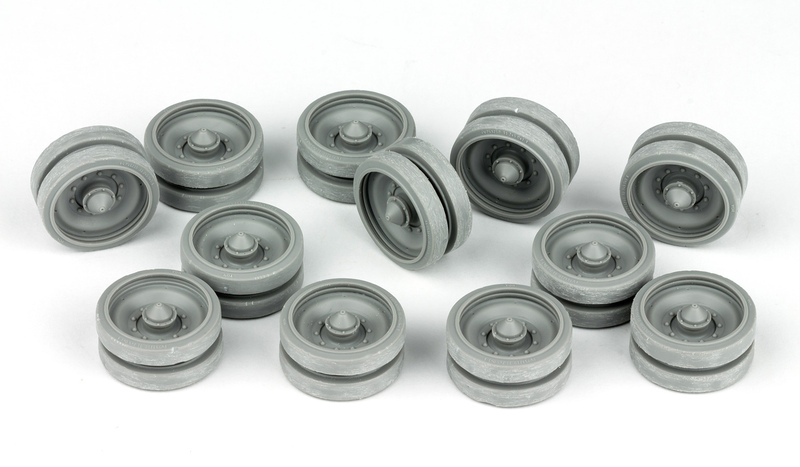 None of the wheels and sprockets use poly-caps, but they fit reasonably tightly onto the axles and will stay in place without glue while the track runs are formed. 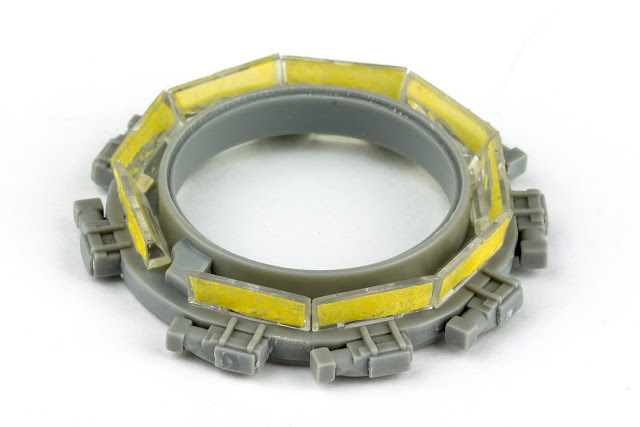 Once the wheels are finished, it's time to assemble the suspension and Takom have done a nice job at capturing the look of the Horstmann bogies. The main coil springs are moulded solid but this is a perfectly fine compromise as little can be seen of then once the wheels and side skirts are fitted. 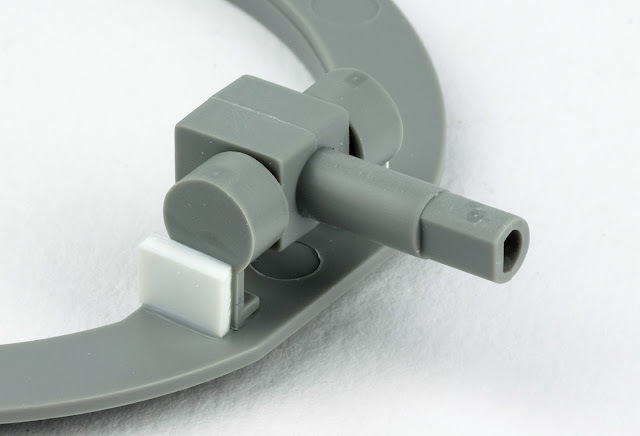 Take care to attach the support strut for the bazooka plates the right way up or they won't connect properly when the plates are added. 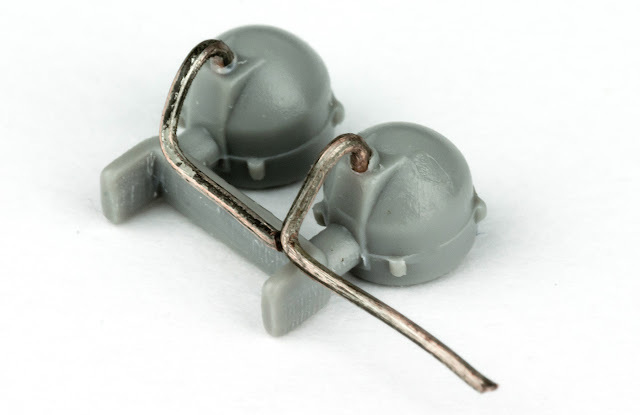 Each pair of bogies (front, centre and rear) are different so be sure to mark them appropriately if you're not attaching them to the hull strait away. It's worth noting here that there's no provision to adjust the suspension to conform to a contoured base. It's been designed to only sit on flat ground. The lower hull has the mounting plates for the suspension bogies already moulded in place making alignment very easy. The completed units simply drop into place. The instructions would have you glue the wheels in place at this stage but I decided to keep them loose so they could be painted separately. With the suspension fitted, the next step is to make up the track runs. These aren't workable tracks and will need to be glued together, then wrapped around the wheels. 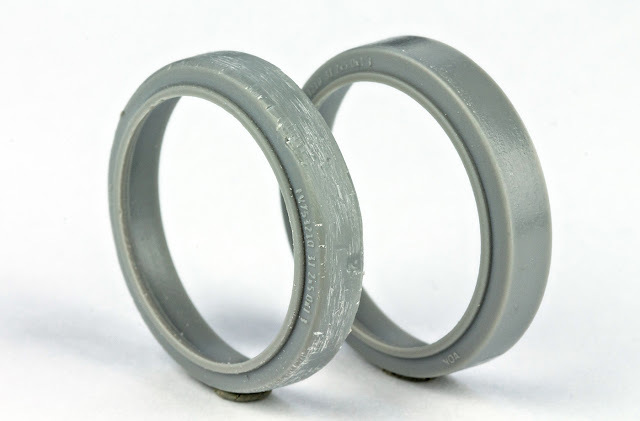 The links themselves need virtually no clean up and, although not clickable, will hold together well enough to build up short lengths to which liquid poly can then be applied. I wanted to keep the tracks removable for painting and, since the top run won't be seen, I decided to make each run up in two halves, front and back. A run of 28 links was assembled and glued, then left to sit for a couple of minutes to let the glue partly set. The end of this run was then formed around the idler and under the front three road wheels, the end being held in place with masking tape. The first run was left over night to fully set, then a second run of 29 links was made up and formed around the rear half of the running gear. Care was taken to ensure the two ends met in the centre although they were not glued together. The same process was done for the other track run then both pairs were removed to be painted separately later. Each run was marked on the underside with left front, left back etc. 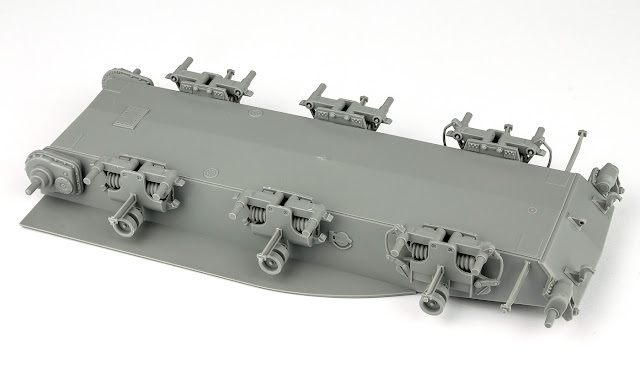 The upper hull can now be attached to the lower hull but for my build I wanted to leave them separate for the time being to make handling easier. I did want to attach the rear plate though. 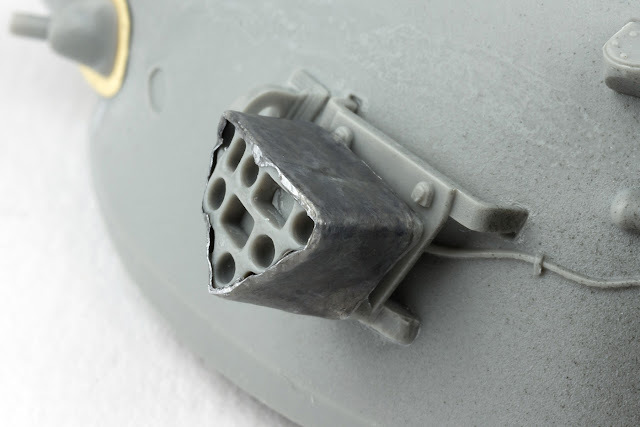 This was glued to the upper hull and the lower hull was temporarily held in place with elastic bands to ensure the rear plate was correctly aligned. The fit of the two hull halves is so good that they could be left separate until the painting is finished, then slotted together at the end. 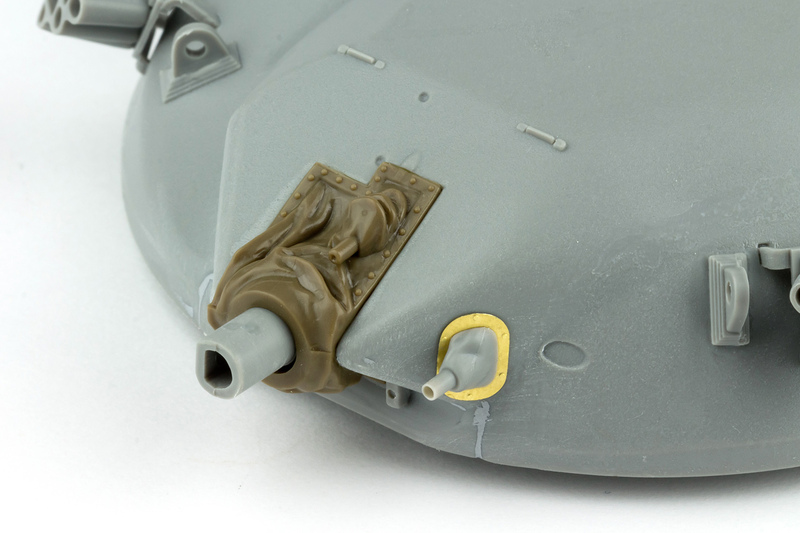 One area of the upper hull that could use a little extra work are the rubber mud flaps. 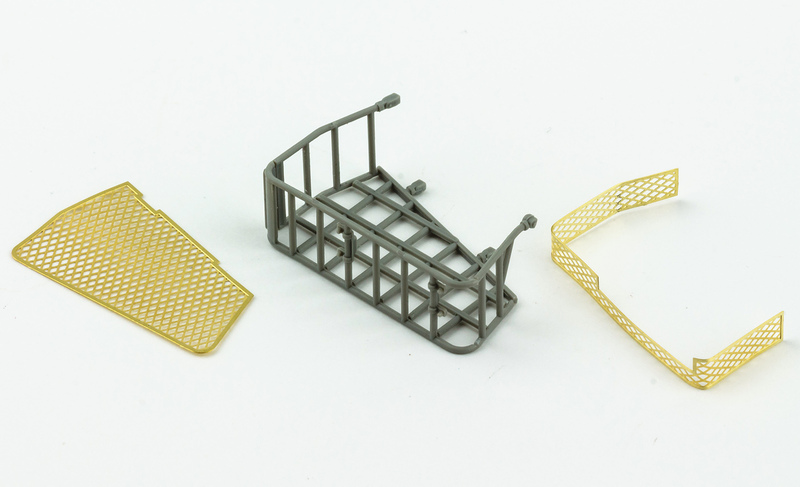 These are already moulded onto the front of the fenders but look a little too flat and square to be realistic. It would be possible to slice them off and replace them with something more flexible but, since the mouldings are quite thick, I decided to try carving more “ripple” into them. The inner edges were filed and scraped until the plastic was thin, then with a pair of tweezers the edge was carefully bent and twisted. With the headlights in place, another wire needs to be added for the fender light. 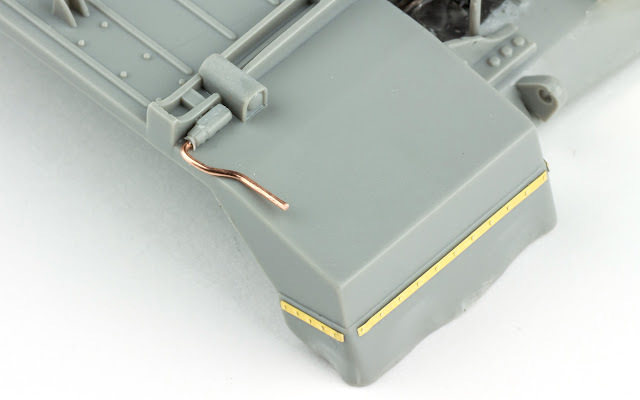 Takom have moulded part of the cable in place on the upper fender but realistically moulding the end of the cable in the deep bracket would have been impossible. 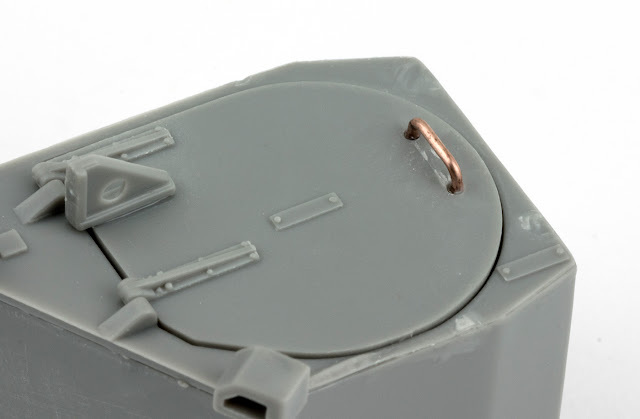 Again, a length of fuse wire was bent to shape and inserted into a hole drilled in the side of the bracket. 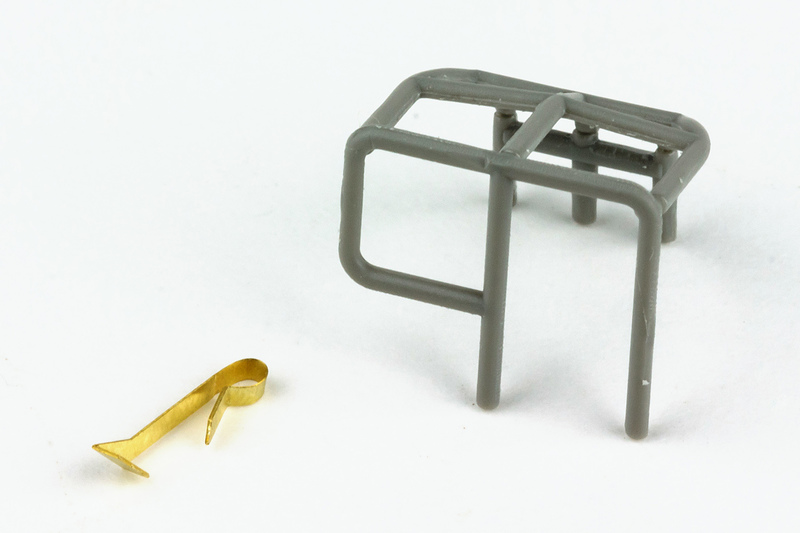 The headlight guards are quite a fiddly construction and require a small PE bracket to be bent to shape and clipped around the bracket. When the guards were built up, I sat then in place on the hull while the glue dried to ensure they were correctly aligned. Before the guards were glued in place, the headlights were given a brush coat of black primer as it would be hard to get into that area with the airbrush later. 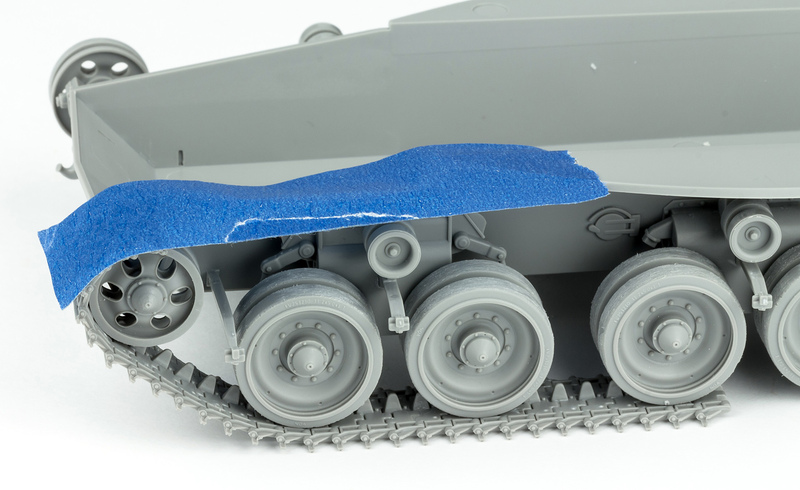 With the glue set on the guards, the PE bracket was clipped in place and attached to the splash guard at the front of the hull. 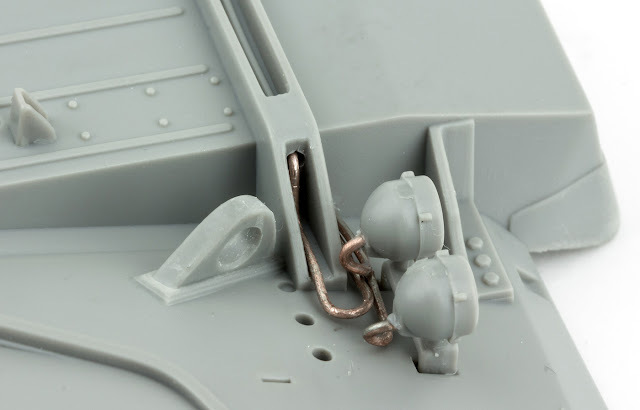 Most of the engine vents are moulded in place but the two front vents are supplied as separate pieces. 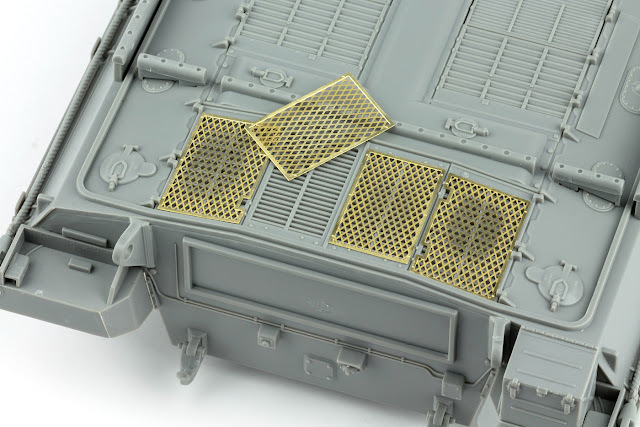 These simply drop into place and, once fitted, the photo etch mesh screens can be added to complete the engine deck. Takom have included the tow cables as moulded plastic parts, and while some modellers may wish to replace these with brass wire, the kit parts actually look quite realistic once in place. There's a slight mould line running along the top of the cable and removing this does flatten some of the ribbing on the cable, but much of this is covered by the stowage bins so it's not a huge issue. 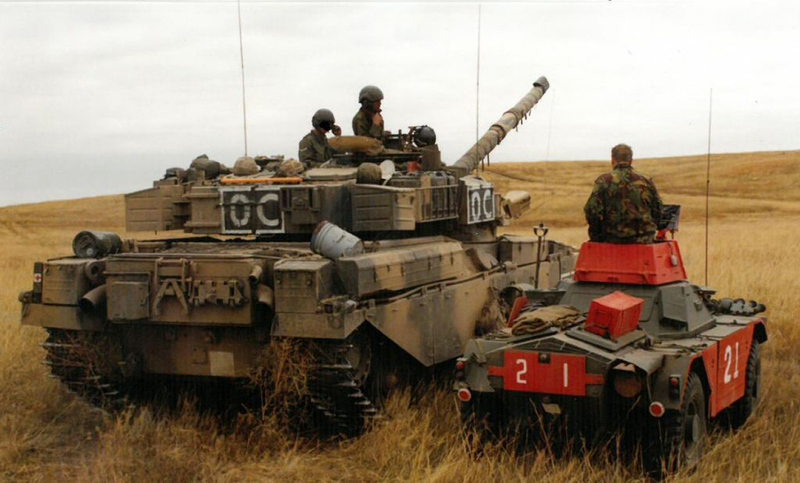 Takom have supplied the driving mirrors in a deployed position, but these were rarely fitted on the real vehicle. 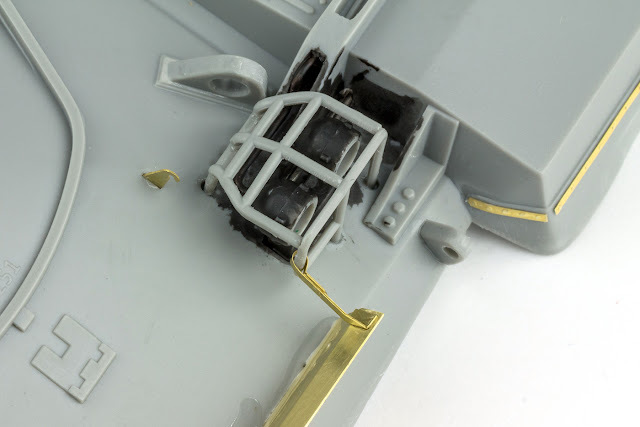 I intended to slice the mirror arms from the mounting blocks and refit them folded down onto the fender but when removing them from the sprue, one of the arms snapped so in the end I replaced both arms with brass wire inserted into a hole drilled into the mounting block. With most of the hull complete, I got started on the turret. 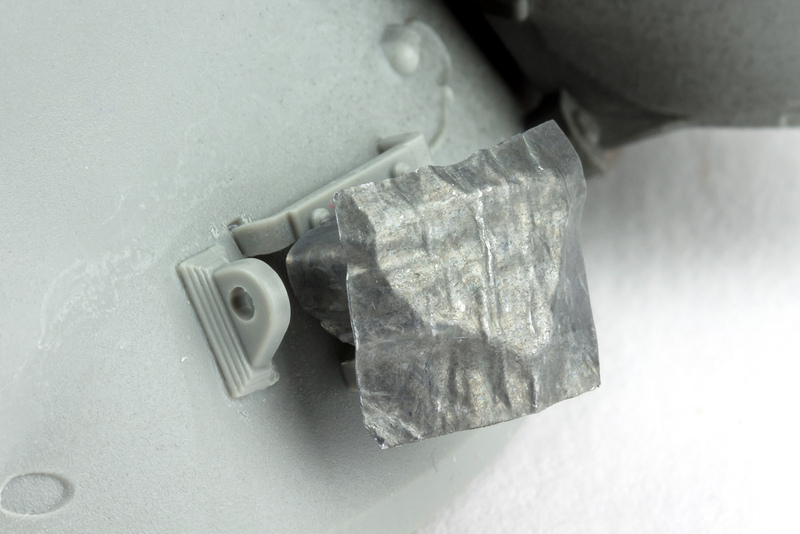 Takom would have you add a lot of the details to the upper turret before joining the turret halves together but this seemed like a recipe for lost or broken parts so I decided to get the two halves together first. Before they can be joined however, the gun mount needs to be added. 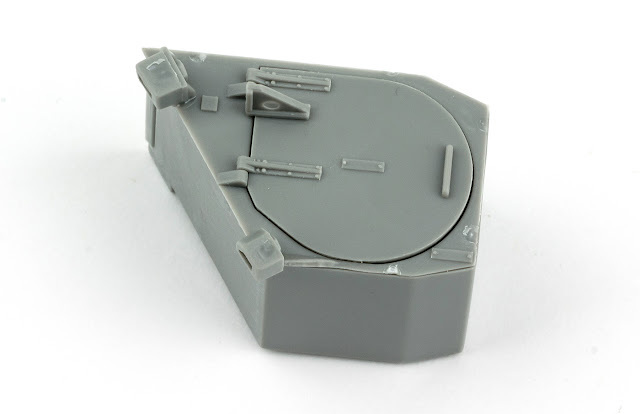 Takom have supplied a couple of poly caps for this and these are a very tight fit with the gun mount inserted. The fit of the poly caps was so tight that I was a little worried that any movement of the barrel might crack the joint between the mount and the lower turret so a couple of plasticard off cuts were added to reinforce the join. 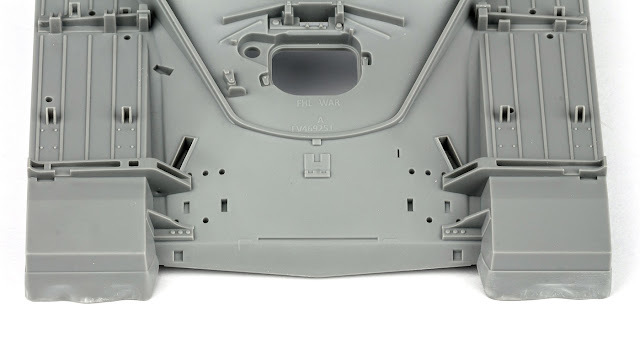 With the gun mount fitted, the turret halves could be joined and at this point I couldn't resist putting the hull and turret together the get an idea of how it was all going to look. Without the turret bins and bazooka plates, the chieftain is a surprisingly sleek looking tank and those big road wheels and low profile tyres give it a distinct sports car look (at least to me). Getting the turret baskets together is no easy job. 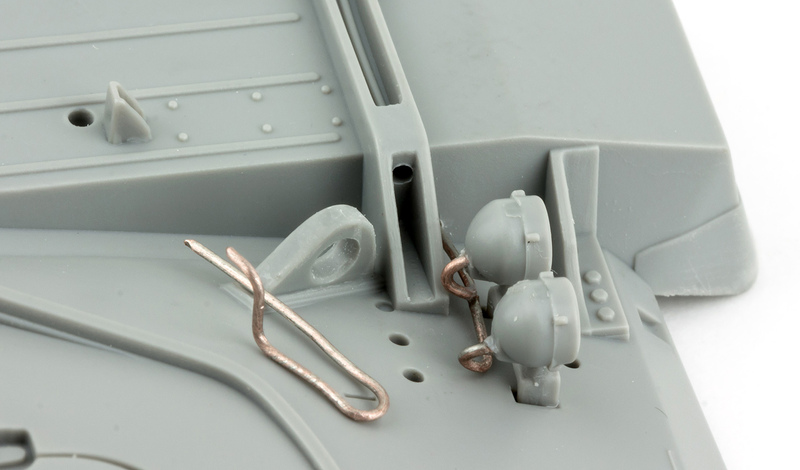 The attachment points are very small although Takom have at least moulded tiny pins and corresponding holes on the ends of the bars which makes the process slightly easier. Shaping the PE insert is also quite tricky but, once fitted, it does make the basket a little less fragile. 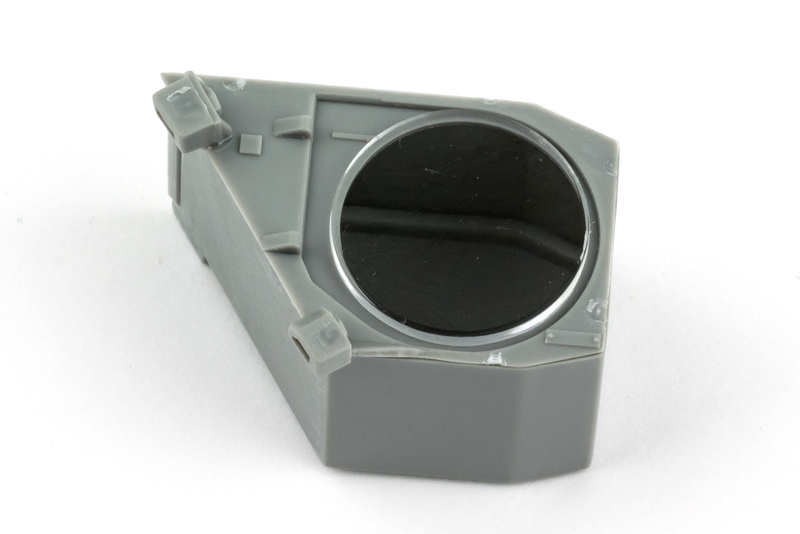 The turret spotlight can be modelled with the door open and a clear lens is provided but since no internal detail for the light is included, I opted to leave the door closed. 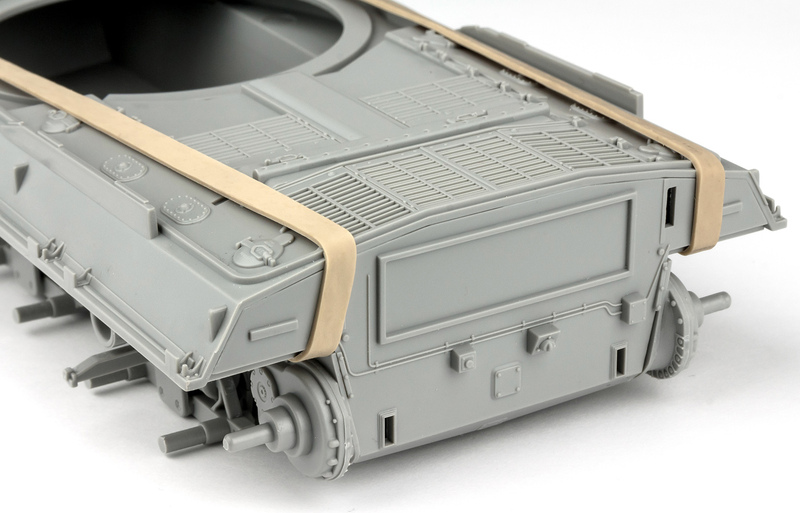 Oddly, the door has a solid moulded handle despite the fact that Takom have included separate plastic and PE handles for other areas of the tank. The moulded handle was sliced off and a replacement made from copper wire. 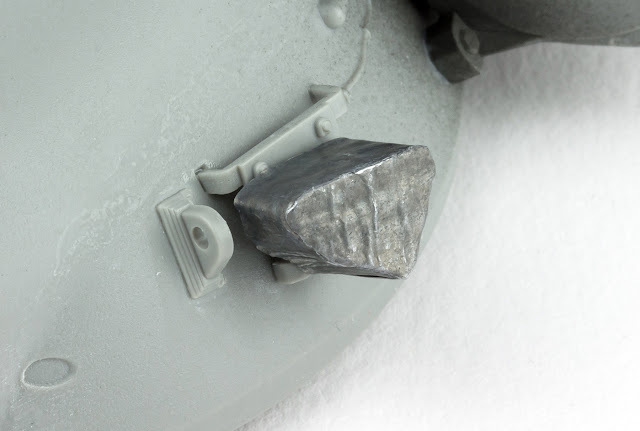 The vinyl dust shroud for the main gun is an excellent fit and can be attached with regular plastic cement. Once in place it doesn't really allow any elevation of the barrel which meant the earlier strengthening of the gun mount is probably unnecessary. Hopefully the soft vinyl material will take paint without any flaking. The barrel for the .50-cal. ranging gun was drilled out before being attached with it's PE mounting plate. To make adding an aerial easier, the tops of the aerial bases were removed and replaced with short lengths of .6mm brass tube. The aerial's will be added after painting. The nine periscopes for the commander's cupola were masked of before being added. 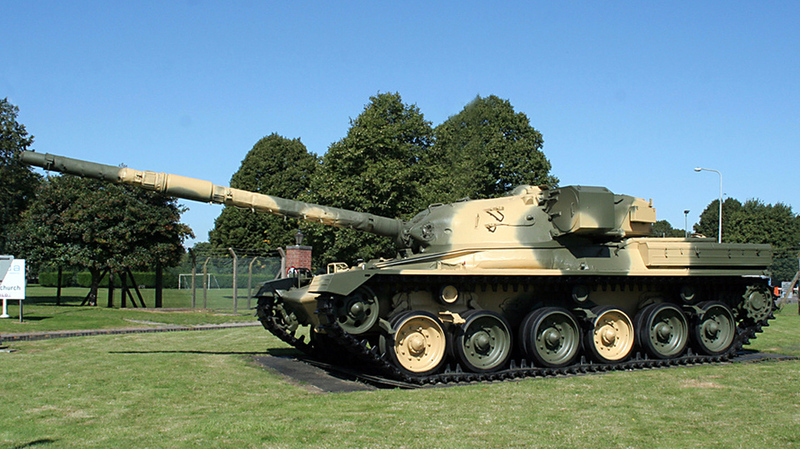 The cupola itself was kept separate from the turret to make painting easier. 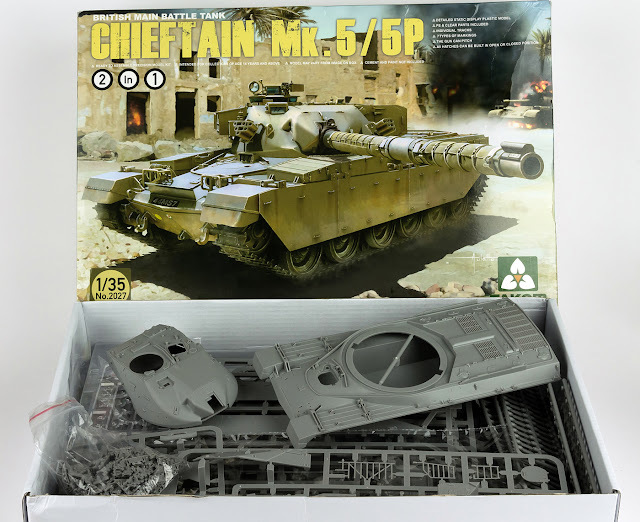 Chieftains were often seen with canvas covers over the smoke dischargers so I decided to replicate them here. A length of lead foil was cut and wrapped around the outer edge of the smoke discharger and secured with superglue. Next another piece of foil was glued to the front allowing some overlap. The edge was then carefully trimmed back with a sharp blade leaving a very small lip which was burnished down to form a seam. 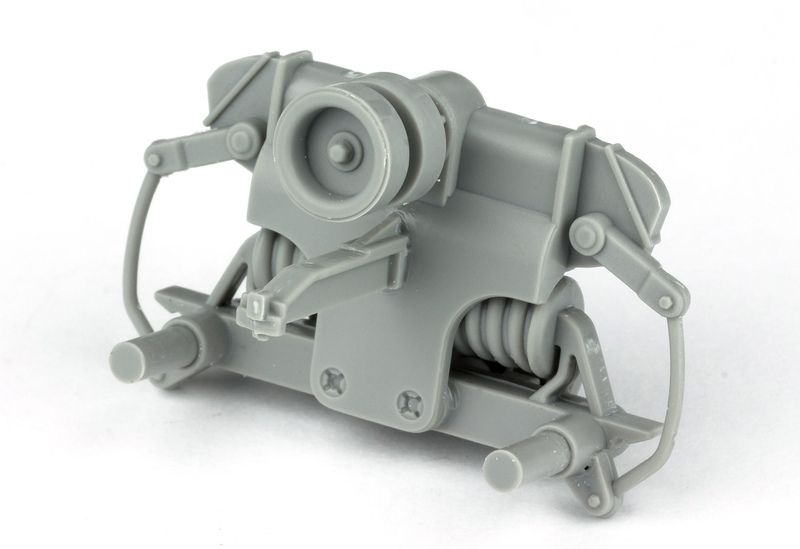 As I mentioned in part one, the cupola mounted machine gun came damaged on the sprue. 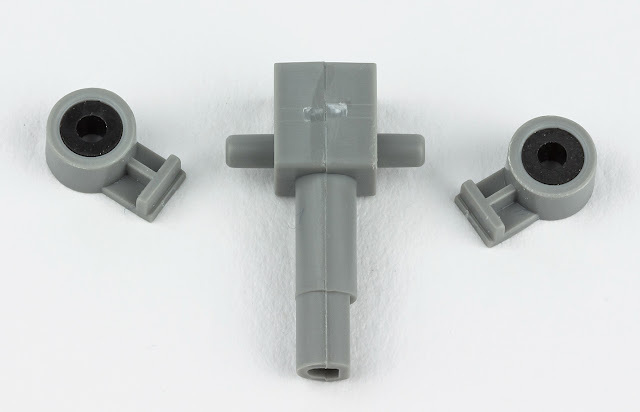 I had hoped to be able to repair the part but as I was removing it from the sprue, the barrel snapped in two. Although repairable, it would have been near impossible to hide the join as the part is so thin. Replacing the barrel with brass tube was an option but in the end I decided to fabricate a canvas cover for the gun. This hid the rather messy repair and added a bit of visual interest at the same time. 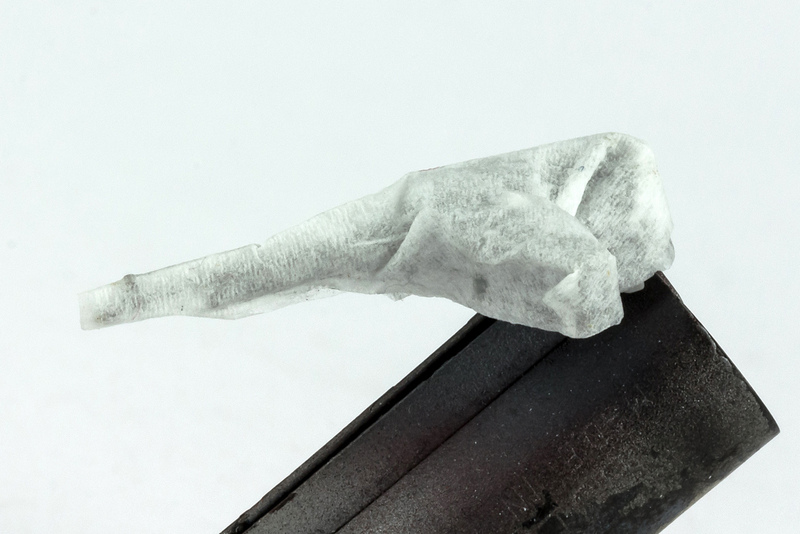 The cover was simply cut from tissue, held in place over the gun and soaked with watered down PVA, then left to dry. With that, the bulk of the construction was done. 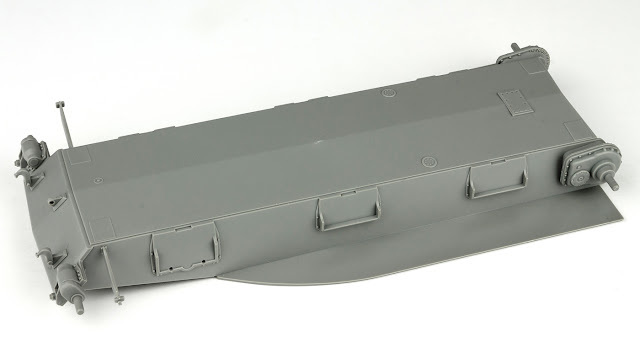 A few parts such as the bazooka plates and the exhaust box were left separate for painting while some areas such as the inner sides of the turret baskets and the covered sections of the tow cables were given a quick coat of black primer before the parts were added as they would have been hard to access when fully assembled. 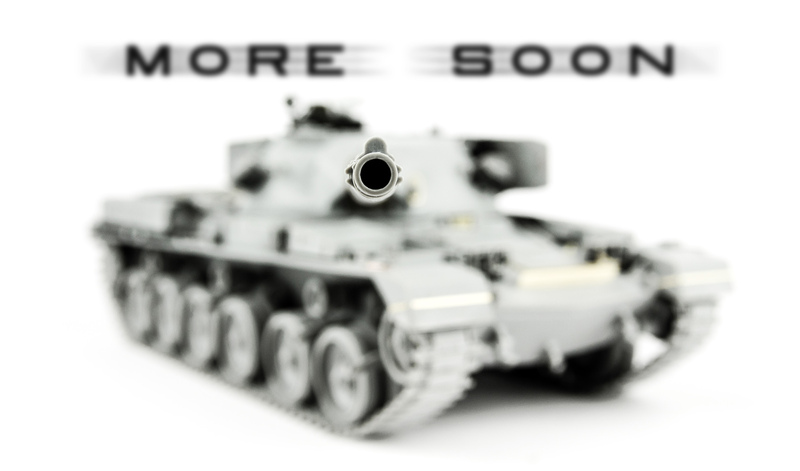 So, has the wait for a good Chieftain been worthwhile? For me, the answer is a definite yes! 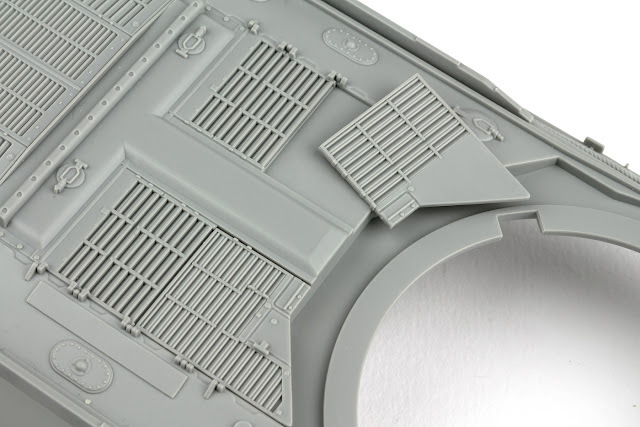 Takom seem to have struck an ideal balance between detail and buildability. The fit of parts was very good all the way through, with nothing requiring tweaking or adjusting. Ejector pin marks only crop up in hidden areas and the sprue attachment points seem to have been placed to cause minimum damage to parts as they are removed. Having said that, I do wish Takom would better protect the smaller, more fragile parts with foam as this isn't the first of their kits that has arrived with broken parts. But this is only half the story. It needs paint to bring it to life and that will follow in part 3.